Whether you like your potatoes mashed, baked, or fried, we have the perfect recipe for any occasion. Potatoes are great to serve for weeknight dinners and weekend entertaining. From mashed potatoes to potato salad, there is no shortage of ways to enjoy these simple, but versatile vegetables. They can make a great addition to any meal from breakfast to dinner. They are the perfect side dish for any meal, and also make great appetizers for entertaining. If you are feeling adventurous, our Test Kitchen has even developed a way to add them to a pizza crust. Keeping potatoes stocked in your pantry should be a no-brainer. You can pull them out and transform them into the perfect dish for any occasion. These spuds are a complete meal when served with coleslaw. If you’re short on time, you won’t have to skip the slaw—prep couldn’t be easier. Simply pick up a package of coleslaw mix and combine with white barbecue sauce and you’ll have a creamy side dish to serve with along with the baked potatoes. As for the taters, they’re completely customizable. We recommend stuffing them with sautéed onion and bell pepper, avocado, corn chips, cilantro, Monterey Jack cheese, barbecue sauce, and pulled smoked pork. Pick up the pork from your favorite local barbecue restaurant or your grocery store. Our BBQ Rub Roasted Chickens with Potatoes and Carrots is a great Sunday night dinner recipe. Pile all of your ingredients on a sheet pan and watch it cook away into one delicious meal. The result will be absolutely addictive potatoes with just the right amount of crunch, and juicy chicken that the kids will love. One of the best things about this recipe (aside from the flavor, of course) is that you should have enough for leftovers the next night. Serve the leftover chicken on a simple salad with your favorite buttermilk dressing. Sausage-Potato Frittata is a rustic meal that makes an equally satisfying choice for breakfast, brunch, or even dinner. The convenience of this recipe can’t be beat. 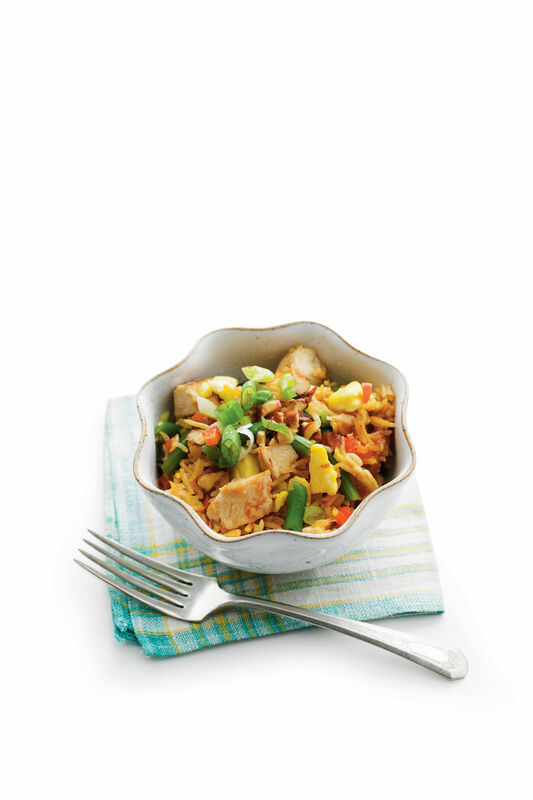 We developed this recipe for the slow cooker without sacrificing a bit of flavor. Smoked sausage, baby red potatoes, chives, parsley, and Monterey Jack cheese are the stars of this one-dish wonder. Simply spread the sausage (be sure to brown it in a skillet first) and potatoes in the bottom of the slow cooker, mix the eggs with remaining ingredients and pour over the sausage and potatoes. Sprinkle with the shredded cheese, put on the lid and let the slow cooker do the work. This creamy potato salad is an absolute winner. The red potatoes are boiled until fork tender before they're sliced in half and grilled until charred. Our Grilled Potato Salad doesn’t stop there. The dressing calls for sour cream, mayonnaise, vinegar, garlic, oregano, chives, parsley, lemon juice, and olive oil—trust us, this tangy dressing is absolutely addictive. Finally, toss the grilled potatoes and dressing with cucumber and sweet onion and you’ll have one crunchy, creamy, utterly delicious side for your next grill out. To freeze big items like cooked potatoes and meatballs, arrange in a single layer on a jelly-roll pan, and freeze 1 to 2 hours; transfer to a zip-top bag. You'll avoid one frozen mass, plus single servings thaw faster. Two Southern classics, deviled eggs and potato salad, join forces to create these two-bite wonders. Scooping out the middle of the potato, filling it with flavor, and it stuffing it back in make it reminiscent of a deviled egg, but it taste just a like a scoop of bite-sized potato salad goodness. 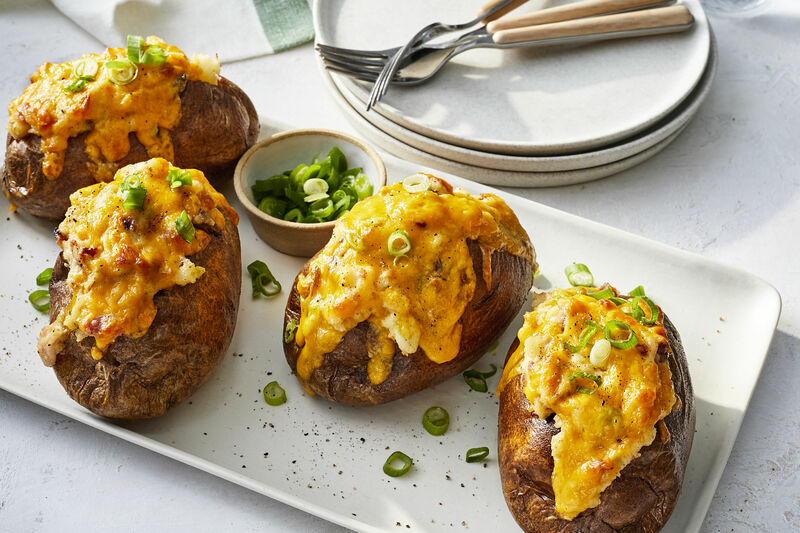 The pulp is mixed with sour cream, capers, mustard and a few other key ingredients that will not leave guests missing a traditional potato salad. Make them a day before your get-together, and chill until you head out. When you arrive, they'll be the right serving temperature and little clean up will be required once the party is over. These homemade fries are better than the drive-through. Because they are oven-baked, the fries have less fat and calories, and there is no oily mess to clean up. Dip in ketchup, Blue Cheese Dip, or Easy Marinara Sauce. Potatoes, onions, and bell pepper make one delicious hash. The potatoes will start in the oven and finish cooking in a pan along with the other veggies. Don't skimp when it comes to mixing up our crème fraîche sauce—drizzle on top and serve on the side for one satisfying finish. Pair potato hash with our Braised Lamb shank. 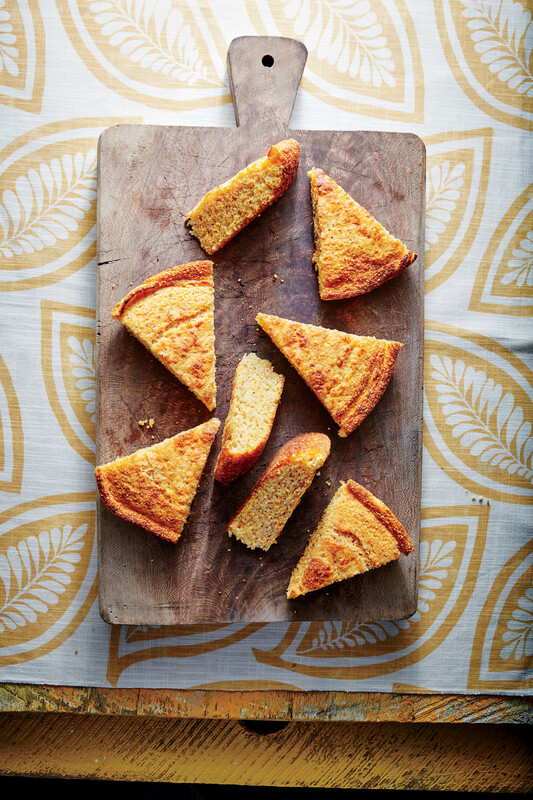 Bragging rights for this flavor-packed, perfectly balanced favorite (from The Southern Foodways Alliance Community Cookbook) go to Blair Hobbs of Oxford, Mississippi. Make this hash even heartier by adding a fried egg on top. Speed up cooking time by using parboiled potatoes from your grocer's freezer section. Add them in at Step 3. You might think there is only so much you can say about spuds, but this recipe for Mashed Potatoes with Greens will have you reaching for your dictionary. You will enjoy it so much you’ll be looking for new superlatives. It is surprisingly simple, and what makes this recipe great is that you can use any of the greens you have on-hand. It works well with chard, kale, cabbage, or other leafy greens. You can even prepare it in advance, as long as you thaw it well in advance. "This luscious gratin strikes a happy middle chord for those hungry for potatoes and those vying for a sweet potato casserole." --Nancy Vienneau, author of Third Thursday Community Potluck Cookbook, from which this recipe was adapted. 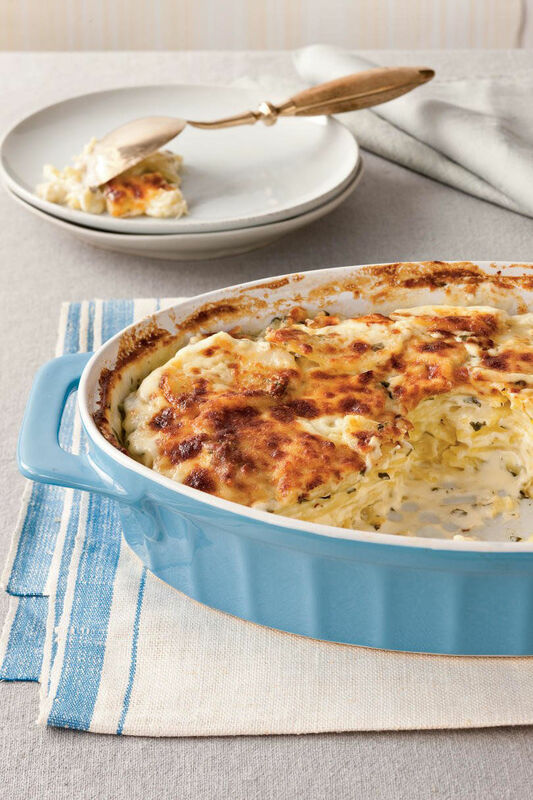 Serve up a side of ooey-gooey scalloped potatoes for any occasion. The best part about this delicious dish? They are made in a slow cooker. With only four ingredients, you can whip these mashed potatoes up in a flash. These potatoes can be as chunky or smooth as you would like. Smash them until they reach desired consistency. You'll love the unexpected flavor combination of creamy avocado and fresh dill atop roasted potatoes. This makes a great handheld appetizer when entertaining—just be sure there are plenty to go around. Lemon juice and fresh thyme provide a springlike flavor to roasted potatoes. To save the time of peeling little potatoes, cut larger peeled Yukons into chunks. Any leftover potatoes are great for a potato salad the next day. Gently stirring twice while baking promotes even cooking and creaminess to this dish. Pull out of the oven, stir once more, then sprinkle with cheese, and continue baking without stirring for a casserole that's golden brown on top. Thinly sliced russet potatoes absorb the richly flavored custard as it bakes and give this quiche its layered texture. A mixture of Gruyère and Parmesan cheese makes this luxurious baked dish all the more delicious. French green lentils add flavorful texture. They remain firm after cooking, while traditional brown lentils turn soft. The dressing of bacon vinaigrette, fresh parsley leaves, celery, and shallots pairs well with a robust pale ale. Invite the flavors of Greece to your next cookout by serving a potato salad tossed with crumbled feta cheese. The rich, smooth cheese highlights the tart red wine vinegar and the crunchy fresh veggies. Mix up your mashed potatoes routine by trying one of these 5 delicious variations. Tasty additions like caramelized onions and chorizo sausage will make these baked mashed potatoes a family favorite. Cheesy, smoky, and savory—all of our favorite flavors come to play in this winner of a potato casserole. Fire up the grill for this hearty one-dish meal of Steak-and-Blue Cheese Potato Salad. Simply toss together the grilled vegetables, potatoes, and flank steak with blue cheese and a homemade vinaigrette for a quick and satisfying meal. A healthy spin on the traditional loaded baked potatoes. Replace the restaurant-size scoops of butter and sour cream with these good-for-you toppings. Part quiche, part omelet, but easier than both. This hearty Italian frittata recipe makes enough to feed your entire family—all in a single skillet. In our recipe, we amped up our basic eggs with diced red bell pepper, fresh parsley, chopped chives, crispy potato wedges, and creamy ricotta cheese. You can use any combination of fillings you'd like –such as savory bacon, summer tomatoes, or dried rosemary. For a simple fix, throw in last night’s leftovers and whichever cheese you have on hand. For a colorful, eye pleasing plate, make sure you include ingredients in a variety of colors: they will rise to the top of the frittata. This fresh yet hearty side dish features roasted potatoes instead of the boiled ones traditionally served as part of the Lowcountry-style spread. We dressed up classic mashed potatoes with goat cheese and the result was just as tasty as you would imagine. Lucky for you, when it came to making this recipe utterly indulgent we didn’t stop with the goat cheese. We mixed in a full cup heavy cream, butter, salt, black pepper, and finished with chopped fresh chives. The best part is our Goat Cheese Mashed Potatoes only require two simple steps. First, boil the potatoes until tender, about 15 minutes. Strain the potatoes, return to the saucepan and add remaining ingredients. Mash with a potato masher and serve! We made over everyone’s favorite potatoes in finger-food form. Slice petite Yukon Gold potatoes like a traditional Hasselback potato. Slather them in butter, rosemary, and salt and bake for 45 to 50 minutes. Baste in more of the butter, rosemary, and salt mixture then sprinkle with blue cheese and bake until the potatoes have a beautiful golden hue and the cheese is melted. Top with bacon and fresh chives before serving right away. If you’re hosting a casual cocktail party, our Baby Hasselback Potatoes with Blue Cheese and Bacon should definitely be on the menu. Don’t let its name fool you—Golden Beet-and-Potato Breakfast Bake isn’t just an a.m. meal. It’s hearty and savory enough for a satisfying dinner as well. As for brunch, well, this is a no-brainer. The tasty base is created with a combination of Yukon Gold potatoes, golden beets, sweet onion, and bacon. Use the grating blade of a food processor to grate the potatoes, beets, and onion so they’re all uniform in size—the food processor will make quick work of this step. 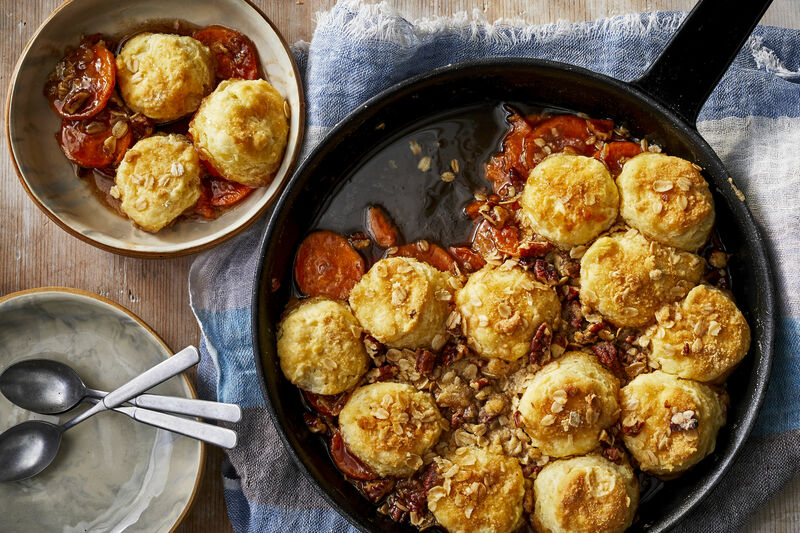 Our breakfast bake makes a nutritious one-dish meal, perfect for any time of day. This isn’t your typical potato soup. Our Baked Potato Soup calls for a base of mashed potatoes—trust us on this one, you’re going to love it. Chicken bouillon, butter, sweet onion, garlic, and a pinch of pepper add fantastic flavor. Let your family pile on the toppings. We recommend cooked and crumbled bacon, shredded sharp Cheddar Cheese, and sliced green onions. Thanks to the package of frozen steam-and-mashed potatoes, this recipe is quick enough for a busy weeknight. Serve with ham sliders for a filling meal the whole family will love. After tasting the delicious results of "milking" a fresh corn cob, you'll never shuck and chuck again. We fully tap the flavor of in-season corn with this kernel-to-cob cooking method, infusing our soup with rich, sweet flavor. If you’re looking for a lightening-fast chili, you’ve found it. Cheesy Chili Hash Brown Bake comes together with 12 minutes hands-on time and requires only five ingredients: ground beef or turkey, a can of original sloppy joe sauce, a can of chili with beans, half a package frozen country-style shredded hash brown, and two cups shredded Cheddar cheese. We tested with Manwich Original Sloppy Joe Sauce and Hormel Chili with Beans. Once it’s ready, spoon the chili into eight individual ramekins and bake until browned and crisp. Alternatively, you can bake the chili mixture in a lightly greased 13- x 9-inch baking dish as directed. This hearty hash packs a whole lot of flavor into a dish that clocks in at only 442 calories per serving. You can substitute leftover chicken or pork for steak but, don’t be fooled, potatoes are the star here. The recipe calls for three tablespoons instant potato flakes (such as Hungry Jack) and a whopping 1 1/2 pounds Yukon gold potatoes. From there, we added red bell pepper, finely diced carrot, thyme, onion, and parsley. You have the option of topping each serving with a poached egg. The gooey yolk makes for a decadent topping to the hash. Bring campfire cooking to your dinner table with our Smoked Trout-Apple Hash recipe. Serve with a simple green salad dressed with a light vinaigrette for a complete meal. 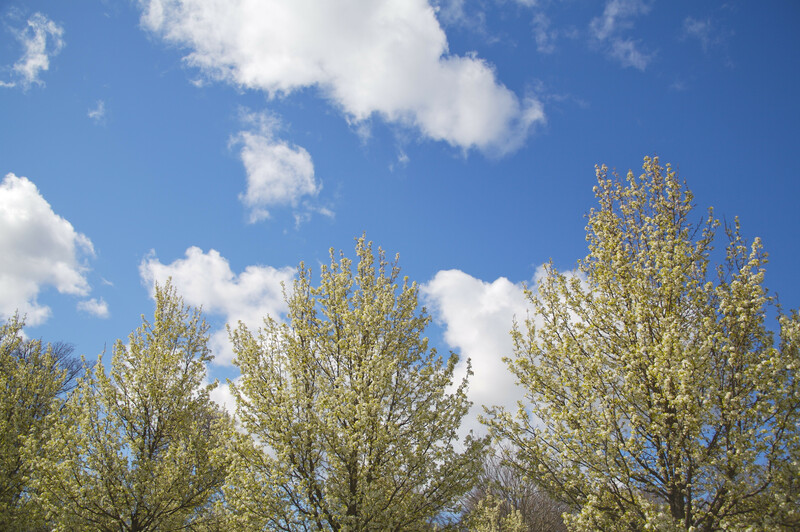 Opt for a few simple swaps to make it your own. Sweet potatoes can be used in place of the russets and other tart apple varieties make a good alternative for the Granny Smiths. Smoked bluefish, smoked salmon, or smoked whitefish also work well in place of smoked trout. Squeeze lemon wedges over the hash and serve immediately with sour cream sauce. Not an ounce of flavor was sacrificed to make this lighter potato soup. The only thing you’ll be missing is a few calories. Loaded Potato Soup uses lower-sodium chicken broth, 1% low-fat milk, and reduced fat sour cream to get the ultimate smooth and creamy texture. Of course, it wouldn’t be potato soup without a topping of Cheddar cheese, crumbled bacon, and thinly sliced scallions. This soup pulls together quick enough for a busy weeknight. Only twenty minutes and a few ingredients stand between you and a comforting bowl of hearty potato soup. Five full cups of fresh corn kernels are the star of this chowder, but a large Yukon gold potato plays a great supporting role. The potato gives a hearty touch to this light summer soup. Top each bowlful of Summer Corn-and-Golden Potato Chowder with a sprig of thyme. We love serving this soup with a light summer salad for a refreshing weeknight dinner. Our recipe makes 4 to 6 servings, but can easily be stored in a zip top freezer bag in the refrigerator to pull out and reheat at a moment’s notice. There’s a secret to this cooking process: Be sure to immediately reduce heat to medium-low once the soup begins to boil. This will ensure your creamy mixture doesn’t break. When prepping your veggies, cut the onions and potatoes in uniform pieces that will cook evenly. Add shrimp just before the chowder is finished cooking so they don’t overcook. This makes a whopping 2 quarts. If you aren’t cooking for a crowd, freeze the extra portions. Serve with a crusty baguette for a complete (and completely filling) one-dish dinner.